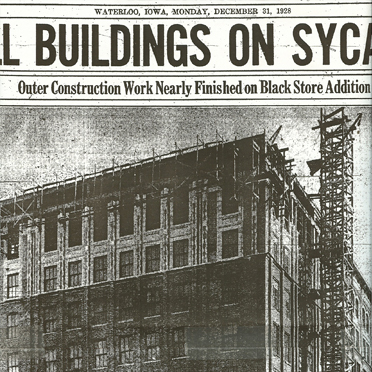 It was built in 1913 and actually set the standard for design of the neighborhood. 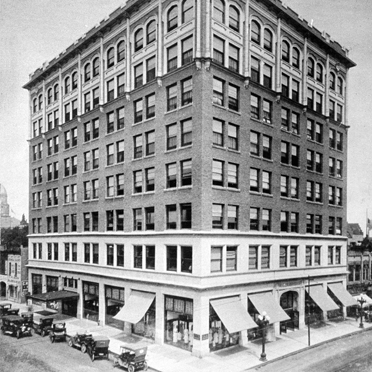 The 10-story addition, built to tie into the original building, was completed. 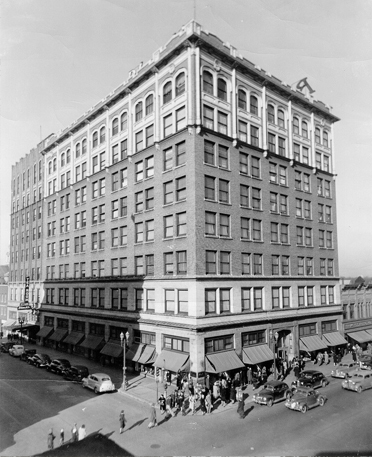 The 2-story annex was also purchased. 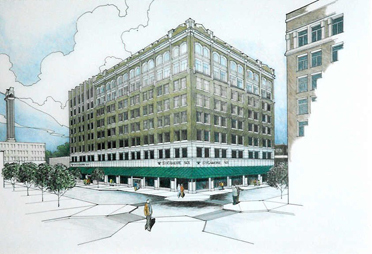 Proposed Remodel of 3-story Addition to Black�s Building, Artist rendition. 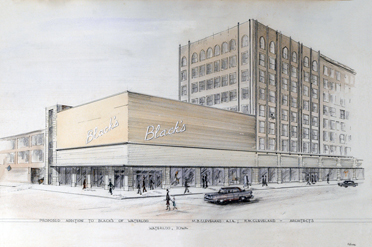 In the 1980's the Nelson Family purchased the Black's Building and invested in renovating the building. 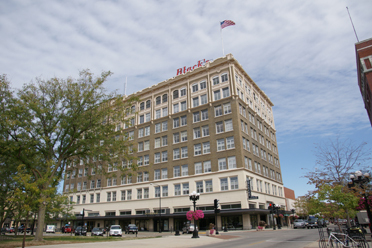 Black's Building corner with flag on top.